With my books, speaking, and one-to-one engagements, I guide people to the balance and peace that comes through mindfulness, introspection, and truth. Helping others through writing, speaking, and conversation is how I try to make the world a better, friendlier, stronger place. You can read my blog where I post daily. I have a free newsletter for more personal messages. I’m also available for one-to-one personal advice and speaking engagements. Get in touch! 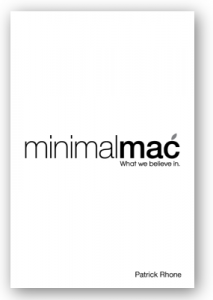 Minimal Mac: What We Believe In is my collection of the best posts and quotes from almost six years of Minimal Mac, my website that explored the intersection of minimalism and technology. Buy it today! Available in paperback too! 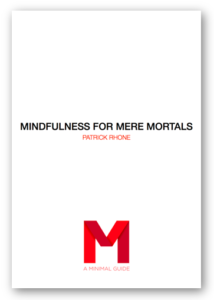 Mindfulness for Mere Mortals contains everything you need to know to develop the processes and habits needed to maintain inner peace. If you’ve struggled to develop a meditation practice of your own, this guide contains all you need to get started and keep going. Buy it today! 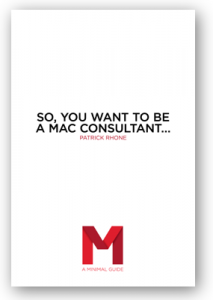 So, You Want To Be A Mac Consultant… is the new definitive guide for those considering becoming an Apple Consultant. The basics of everything you need to know to get started are covered here. Buy it today! 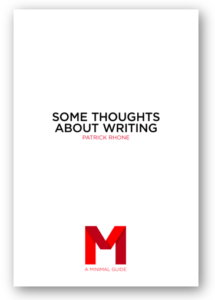 Some Thoughts About Writing is a collection of back pocket wisdom for those who wish to be successful writers. This guide will give you all you need to know about what it takes — especially for those looking to write for an online audience. Buy it today! 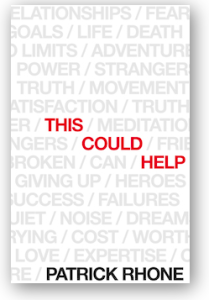 Consider a one time free will donation of any amount. Consider a regular donation at a level that feels comfortable to you. A gift from my Amazon Wishlist will always be welcome. 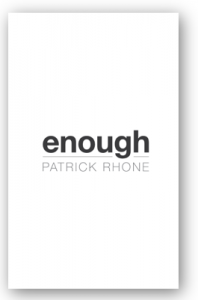 An email to patrick@patrickrhone.com with kind words or friendly conversation is always appreciated.